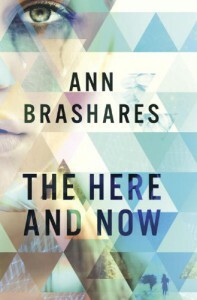 I requested this book because I have read a lot by Ann Brashares, but this was not what I expected. I don't normally read about time travel, so this was different than what I normally read. I feel like the whole teenagers saving the world thing has been done over and over again. I think that the standards have been set pretty high in this area. I can't say that I was super impressed with how it all played out in this book, it seemed too easy, and we don't even know if they were successful. There were things in this book that made me think a lot, such as the concept of memory banking, which is recording all of your memories. I wasn't overly attached to the characters, but I found myself intrigued. I think that the book had a good concept, but could use some better character development. I wasn't sold on the romance, I think this was because there was more telling than showing. Normally I love forbidden romance, but in this book I was just kind of bored. I was disappointed because I went in having high expectations because I like the author. It was certainly an enjoyable read, but I expected more.